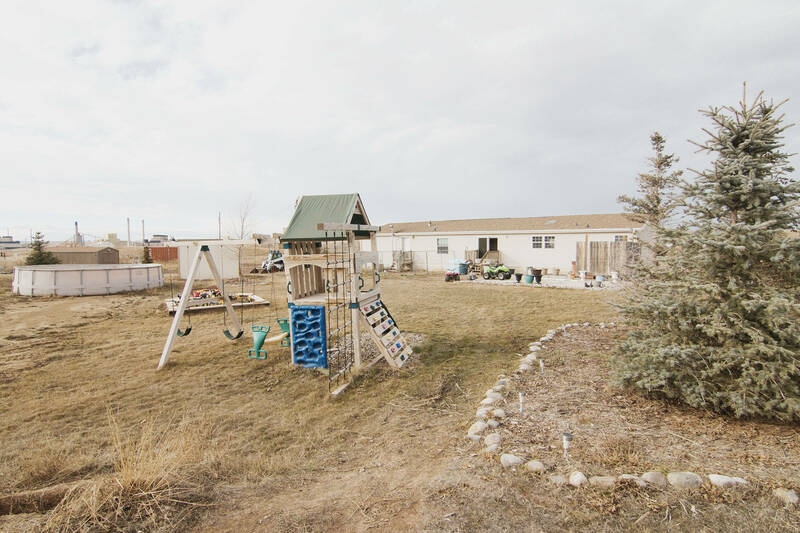 In the quiet Freedom Hills Subdivision in Gillette, WY you’ll find homes with acreage and some with great amenities. One such home is 2 I Court and it has so much to offer. 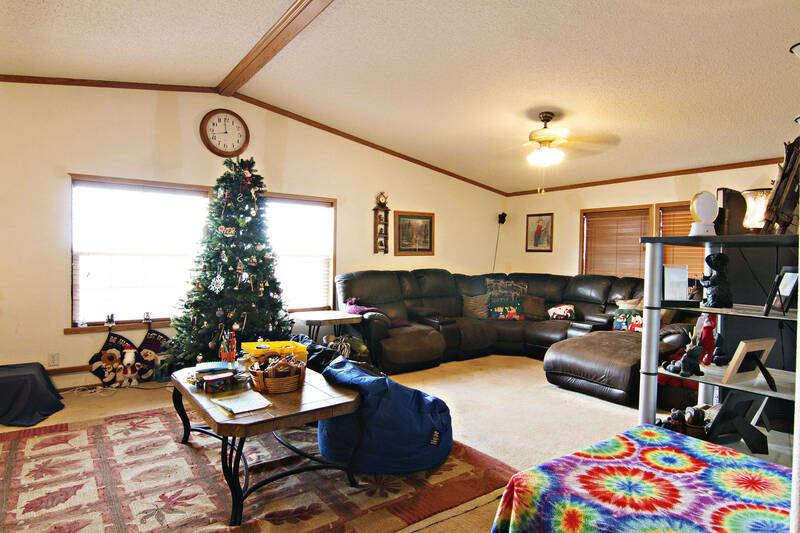 Situated on a usable 2.5 acres you’ll find this spacious home. The home sits at a fully finished 2,280 sq ft with a nice open floor plan. The current owners have been giving the home a nice facelift both inside and out – clearing the land and applying fresh coats of paint inside. 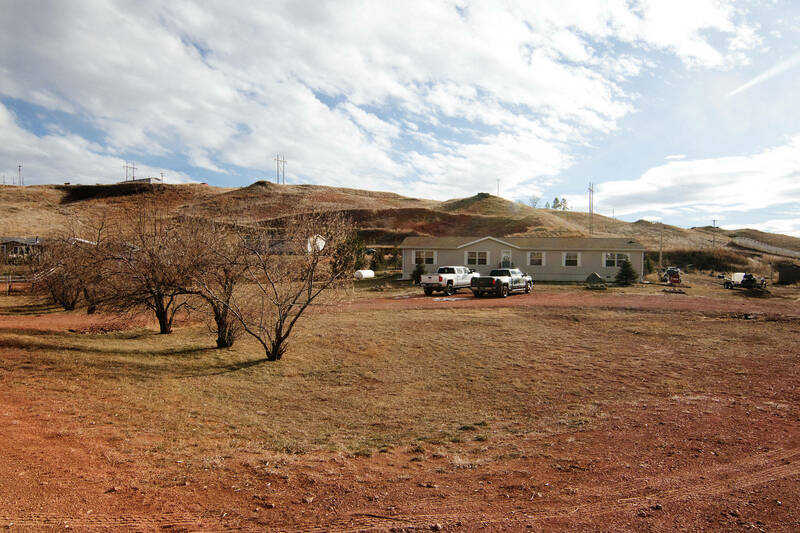 The home features 4 bedrooms, 2 bathrooms, and a living area at each end of the home. 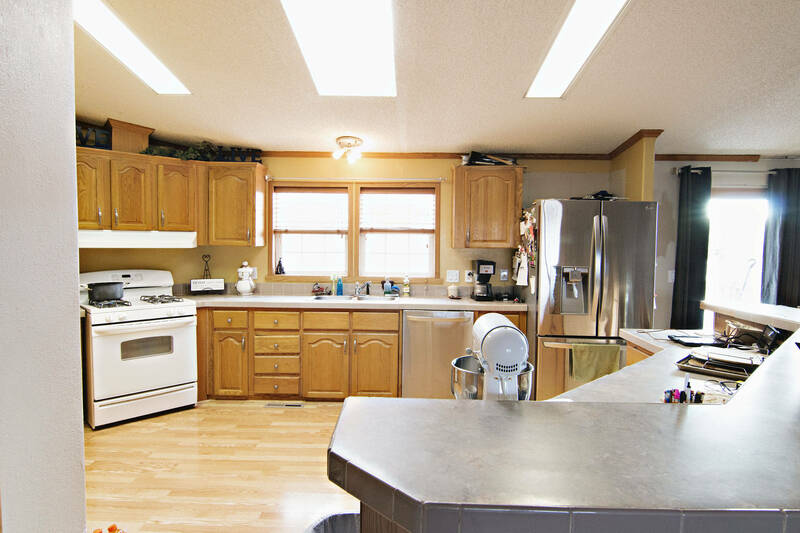 The large kitchen offers plenty of cabinet space, a large island for extra prep space that also has a breakfast bar, and a large pantry for any extra storage needs. The kitchen opens up to a nice dining space and living area. 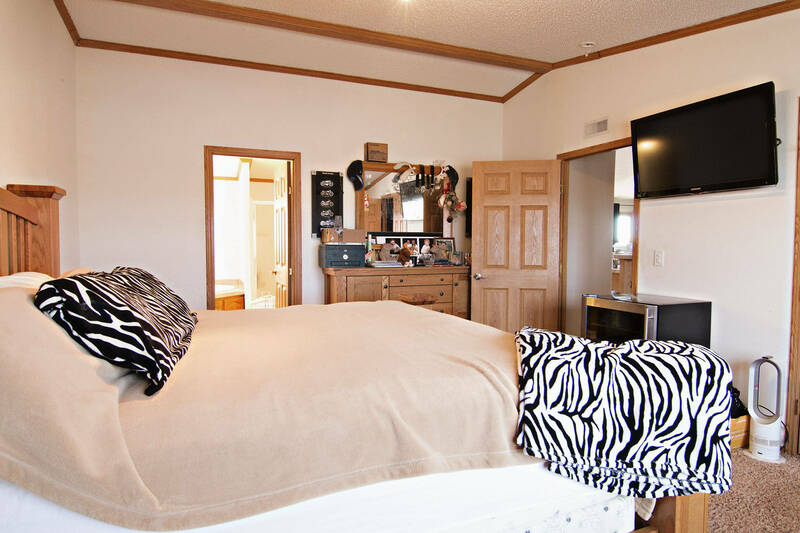 The master bedroom has a nice walk-in closet and a 5 piece bath with a nice soaker tub. The master also gets the perk of some added privacy as the only room at its own end of the home. At the other end of the home you’ll find a huge living space that is great for entertaining. You’ll get the added warmth of an energy efficient pellet stove, too. Outside of the home is where you’ll find some great perks of the property. The back of the home sports a patio area that adorns a well maintained hot tub that will be staying! Back here there is also a pool, perfect for summer fun. Another amenity is the play set with swings and a slide making this home even more kid friendly! The land itself is decorated with trees and you’ll find rock accents. So if you’re hunting for country living with some amenities take the time to see 2 I Court.